Upper left was chosen to reuse the holes there, as UM2+ does not have the 2nd feeder mounting holes. You can mount it at the same height as the 1st feeder on the opposite site if you want, there is no reason against that. I remember I spent some 2 hours on figuring out how it works best. The autotune parameters were not as good. I have a 50W heater in the hotend and it used to overshoot significantly with the autotune parameters. Not recommended to do dual printing this way. If it's manufactured perfectly the nozzles are on the same height. But that's not good because your 2nd nozzle will ooze on your print while the 1st is printing and vice versa. For this reason all dual head concept work with two heads or with a lifting mechanism for the unused nozzle. And likely the two nozzles of this head have a slightly different height and that's even worse. Because then the lower nozzle would actually end vertically "in" your print and scratch it during printing. I am working on this now, any chance you have any updates or suggestions? No suggestions needed. The first setup for UM2 is not special in any way. And the camera issue (capture timing out) is not related to Octolapse, it’s something between camera driver and the image capturing (kernel?) framework. Thanks for your feedback, that confirms and extends what I have learnt about accuracy the last days. I agree that it seems best to give it the final perfection by adjusting the e-steps. Just trying that to tune that a little bit with every new piece. 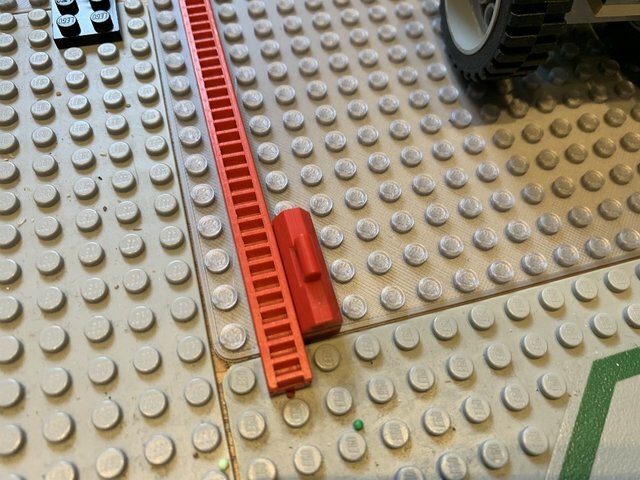 In the last iteration the difference between the lego pimples was already much less, having increased the e-steps by 2%. The "pimples" need to very accurate 4.8mm for the lego bricks to stick well but not too much. It's sensitive to 0,1mm deviation, if they are 4.7xmm the bricks are too loose, if they are > 4.85mm they are too tight (and will rip off the pimples when removing them) or won't fit on at all (approaching 4,9mm). I spent some time to find the sweet spot for two UM2+ with Bondtech extruders and 3D Solex Race block + nozzles in terms of extrusion calibration, temperature and measurements of the .STL so that the base plates are usable in a controllable way. But still - exact same settings, conditions, filament, nozzle etc. - the "left" printer produces them more loose (4,75mm) than the other, the "right" one where the bricks sit very (almost too) tight, with 4,80-4,85mm of pimple diameter. 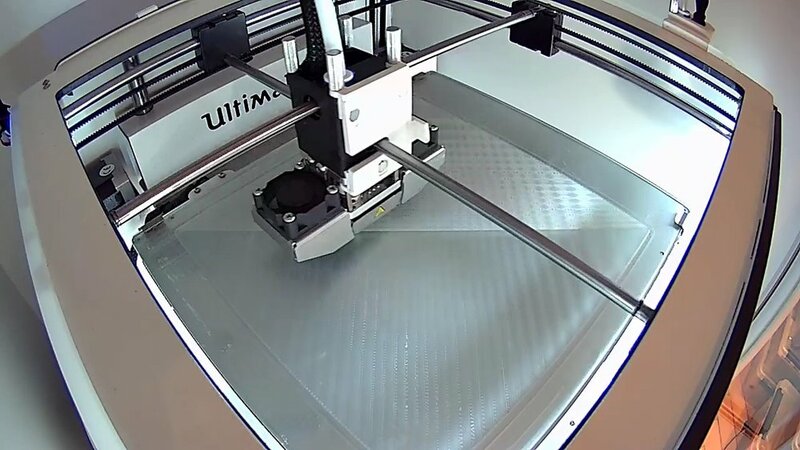 In the last test print of a 2x4 pimple version of the base plate (takes only 10mins to print) I tried to simply tighten the feeder pressure screw of the Bondtech tighter by about one turn. And interestingly the print got better, instead of 4,75mm pimples I received 4,8mm. In one of the tests before I modified the e-Steps from 510steps/mm (calibrated 100mm feed) to 520 (which is +2%) and it also got better and produced 4,8+mm pimples. In another test earlier I found that also +5 C more temperature made the accuracy better, but the print quality worse (slight stringing). So it seems if you want to print measurements like these as exact as possible it's even feeder tension that will influence it. The extrusion obviously varies very quickly by 2+% if you change feeder tension or temperature. I admit it's a rare use case to need 0,1 and less of accuracy, but an interesting learning. Which way would you go, increase feeder tension (I see the danger of grinding doing so) or would you increase the eSteps/mm by these 2% to compensate for this minimal "slippage" of the feeder? I think the increasing the eSteps is the better way. When switching heads the unused one goes to stand-by temperature, the active is heating up to print temperature. Is it that what you mean? In another iteration I find - or better: I am reminded - that temperature is a key issue influencing the extrusion quality. In hindsight not surprising really, I should know. But it seems I forgot by developing bad "standard procedure" habits. After dialling the temperature up another 15 C the striping disappeared completely and the dimensional accuracy is now perfect. While in the last round the stripes were much better and the dimensions of my lego struts 0.2mm too small. I went up from 190 C to 215 C now. I wasn't aware that the ideal temperature differs that much between 0.1 and 0.2mm layer height. It seems that so far I haven't had a use case where quality with 0.2mm mattered that much so that I didn't notice the "few percent" of underextrusion of 200 C on 0.2 layers. 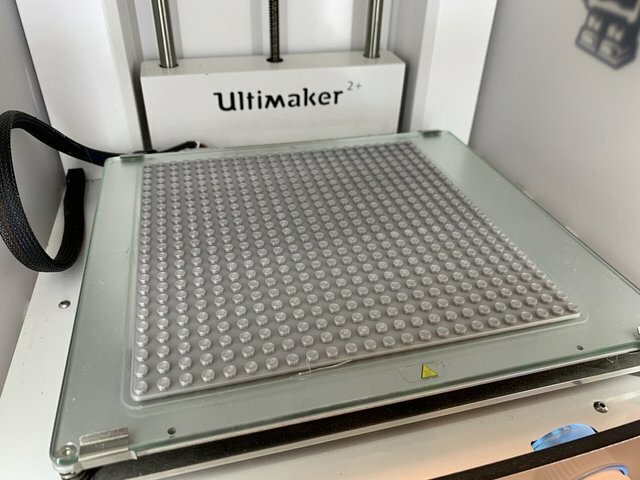 After doing all this - cleaning drive gears, adjusting tension carefully, recalibrating the bed and increasing the print temperature slightly (for 0.2mm +10C seems reasonable, could also pay into this) - it's much better, actually totally acceptable. The stripes still can be seen a little. But now looking at the other printer - where I haven't noticed that issue yet - I find that these minimal stripes are visible too. I need to check the bottom of the good prints I made with the other printer if they also have signs of stripes. And I would expect that they have. It seems I was on a wrong track and it’s not the motor! 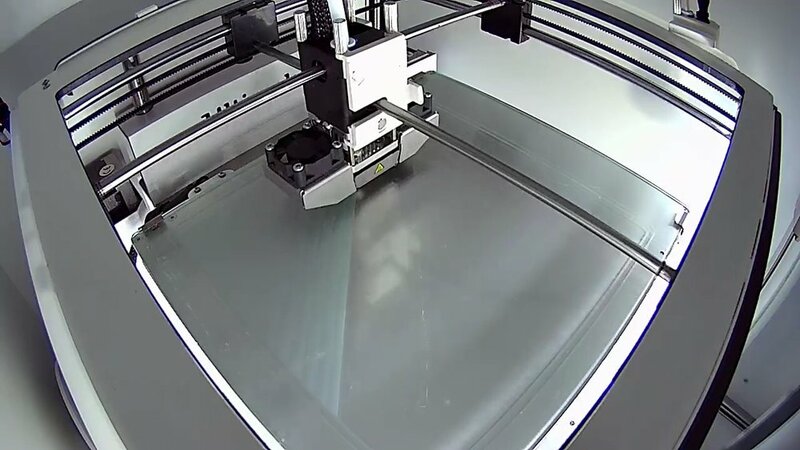 Looks like it’s simply grinding / slipping of the filament due to too much pressure on the first layer! After swapping the motor I noticed signs of the stripes again on the start of the first layer and took down the build plate a fraction of a turn of the adjustment screw and it got much better. The pattern is still visible now, but only a little and I am convinced that’s just dirt in the drive wheel. Thinking about how I got there I find that there’s probably two reasons for that. First I had issues with clogged nozzles from certain filaments recently (it’s always tricky to switch from high temperature filaments back to PLA, now using separate nozzles) and I started to get used to overtightening the tension screw on the extruder. Which increases the grinding of the filament if it cannot move as it should. And second I am printing 0.2mm layers in the moment where usually I prefer to print 0.1 and do that 90% of my prints. So I seem to have adjusted the build plate for 0.1 - I often do fine-tuning on that visually while the skirt prints. That led to too much pressure on the filament during the first layer, to some decent grinding and just enough dirt in the drive wheels that the filament slips slightly each turn to release some pressure. I did not find a lot of dirt in the drive wheel the last days or I would have thought of grinding directly. It seems it doesn’t need very much dirt for this effect. Once there’s enough dirt to reduce the grip in one position it’s enough to release pressure and no further grinding is needed. Attached a cam still of the current print. The stripes pattern is much less, but still there. Next I will clean the drive gears another time, adjust the build plate properly, tighten the extruder pressure screw less and retry. The center sun-gear is a part of the rotor in the motor, then there is 3 small gears around this that contacts with the gear on the shaft and the outside gear section. I would ask you to dissasemble the motor, it is fairly easy for anyone with your skills to see if something has happened. Also check so that the setscrew holding the primary gear onto the motorshaft is tight and is against the flat plane on the shaft, if it sticks out too far it will hit the secondary gear every rotation and this will force the secondary gear away loosening grip and this would show up as an underextrusion each rotation. I'll take the motor apart tonight and have a look. What about variations in nozzle-temperature? And thus variations in viscosity and flowrate? Where it would be just a coincidence that they happen at about the same time as a rotation of the gripper wheel? I'll swap motors and retest tonight and check the possibly defect motor. I don't think it's nozzle temp. 1) it's too regular "in sync" with the rotation of the drive wheel 2) Why would that problem start now and I have never seen this before. Only if something changed or if a compontent on the mainboard went defect. Well... possible, but for me rather unlikely. But never say never. Let me do the test with the motors first, then let's see. I have now moved the gripper wheels of the right / second extruder to the left / first. And I got a surprising result: I get the same inconsistent extrusion pattern! So it’s not the drive gears, it’s the motor gear or the motor. If I seem to have observed that it’s in sync with one turn of the drive gear then it could not be the motor, given the motor turns 5 times as fast. The pattern would need to be much more dense if it related to one turn of the motor. The drive wheel has a diameter of about 12mm, so it’s circumference is 12 x 3.14159 = 37,7mm. That‘s the length of filament extruded by one turn of the drive wheel. The volume of material is then 37,7mm x 6,4mm^2 = 240 mm^3. If the layer height is 0.2mm that would cover a area of 240 / 0,2 = 1.202 mm^2. If this was the first corner of my large rectangle that would form a right angled triangle with 2 identical sides of sqrt(2x1202)= 49mm. If the issue in the corner had a width of 50mm it would actually stretch across one quarter of the width of my object. Yeah, that’s about it. So it’s an issue of the outer wheel of the planetary gear. I need a new Bondtech geared stepper motor. To verify I will swap the motors tomorrow and see if the issue is gone with the motor of the 2nd extruder. Um. Thinking out loudly. I am currently printing the same file with the same setting and the same filament on two printers of the same hardware, so I am quite sure that it’s not a software issue. Or I would see it on the other printer, too. But the hint with the geared motor is a good one. It leaves the gripper wheel or it’s drive wheel as last point of failure. So I should swap the grippers between the two extruders and see what happens. I am struggling with one of my printer the last days. It keeps printing in bad quality with periodic underextrusion. After switching nozzles, taking the print head apart and cleaning it and switching between different filaments I can rule out head / hotend and filament. 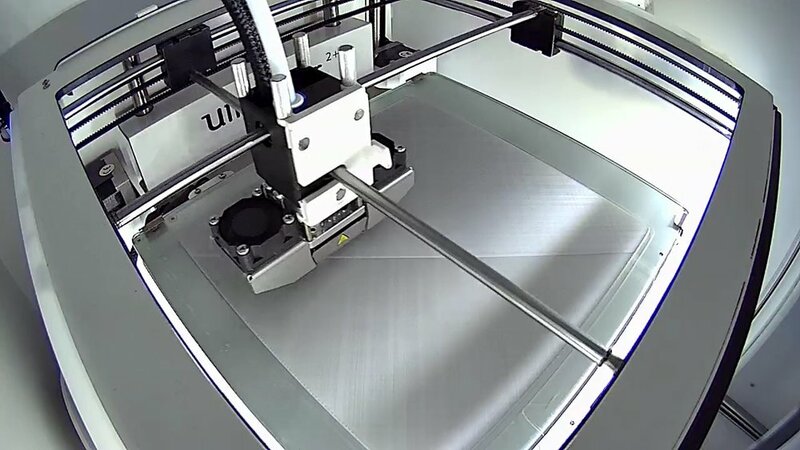 So I turned to the extruder today, it’s a Bondtech QR (https://www.bondtech.se/en/product/qr/) I am quite happy with for two years. I disassembled it and cleaned it, though there was not much dirt. Also I could not see any mechanical defect or wear. Remounted it and still there is this periodic underextrusion. You can see the set screw of the wheel pass by and the underextrusion happens in the same cycle. So the underextrusion cycle is identical with one full turn of the extruder gripper wheel which equals one turn of the stepper motor. Attached a picture while the printer is working on the second layer, you see the stripes of the thicker and thinner extrusion. So if it’s not nozzle, hotend, tube, extruder gripper wheel, what else could be the reason? Could the stepper motor have a defect in one area and loose steps just in like one fourth of it’s full turn? Or is the gripper wheel worn but I just can’t see it? How long is a gripper wheel lasting typically? I think in these two years it could have been 1.000-1.500 hours of using it. No abrasive materials, 85% PLA. I have both my printers modded as Mark 2 dual, so as a next step I could borrow parts of the 2nd extruder to check out if it’s motor or gripper wheel. Yes, I use it for my "Magnetic Tool Changer" modded UM2+. Which can use a bit more power as you have two hotends and in my case even two with higher power of 50W each. The plug is identical, so it's a drop-in replacement. So far I haven't noticed any quality issues. You mean within the Bondtech extruder? Check with them if they have a replacement part for that. I think to remember they have a 3d model of their housing, then it would be possible to reprint it. But I would assume the resin 3d print is sturdier than a FDM print. And still I think that there is too much force on the extruder for some reason. Never heard of extruder motors dying. I bet the root cause is somewhere else. the board in UM2 is actually identical to the UMO board v1.5.7 in the technical layout, just much nicer on one PCB and more beautiful. In other words: UMO and UM2(+) board ARE some sort of Arduino. And yes you need a powerful power supply for the motor shield and hotends. Delivering 19-24V and 1-2A per Motor plus heater plus hotends.